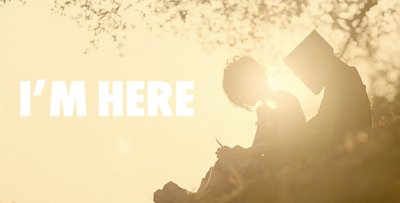 If you haven't seen Spike Jonze's latest 30 min film, 'I'm here', then we recommend you do. Jonze teamed up with Absolut Vodka to create the short - a story about two robots who fall in love in LA - and it seems to be quite an integral part of their latest campaign, which bears the strapline, 'In An ABSOLUT World, Ordinary Is No Place To Be'. According to Absolut, 'the film honours Absolut's history (hmm), while embarking on a new and innovative alliance with one of today's most original film makers' - well they're not wrong there. And to follow on with this theme, the film is set to be screened in interesting and unexpected locations, which challenge people's 'ordinary' perceptions. Advertising aside, it's beautifully shot, has gentle touches of humour and not too many glaringly obvious Absolut references (note the title and credits in Absolut's futura font), with just the right amount of weird - bucket loads. Take a sneek peak below. Is it ok to fancy a robot?